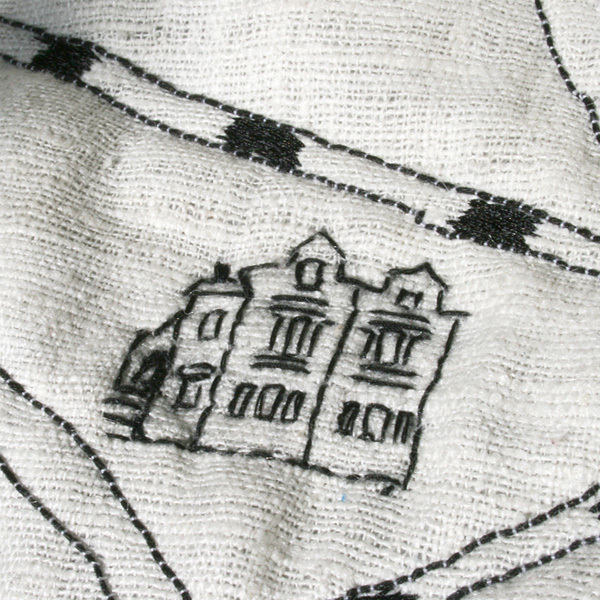 Ekta’s embroidered StoryMaps seek to tell stories based on personal narratives. Each commission begins with a map of the client’s choice that they wish to have personalized – a current or a historical map of the place. This place could be real or equally, it could be one that exists only in memory or imagination. 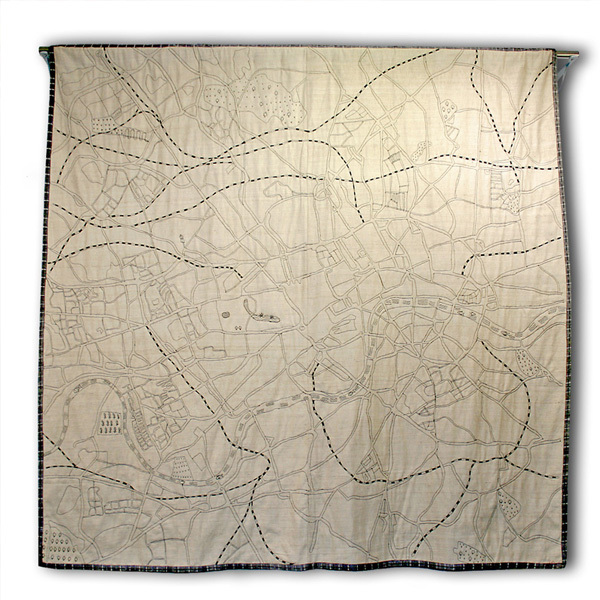 The map is embroidered with the cartographic elements like streets, parks, coast, mountains, rivers and then icons of personal history are added. The personal icons can include, but limited to, the home you grew up in, locations of other important events like birth of child, marriage, where you met your partner. Also, favourite walks, architectural icons, museums, galleries and gardens can be added. 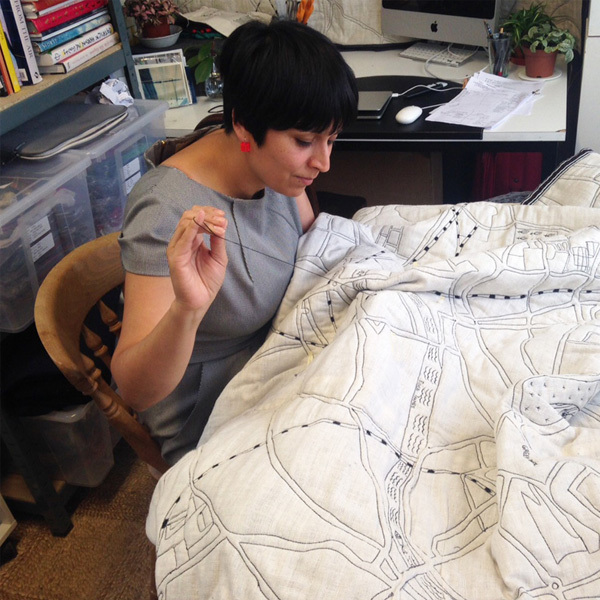 Ekta also undertakes commissions commemorating personal journeys in map form. If you would like to discuss a commission of your favourite place or journeys with Ekta please fill out the form below.